Feeding Our Lives, LLC: What do egg labels mean? Regular: All eggs are free of hormones per USDA guidelines. These chickens are usually caged, grown in huge farms, and it would be rare for there to be any thought of animal rights. Free Range: Eggs are from hens who are allowed time outside, or have access to time outside. There's NO regulation from the USDA regarding how much outside time. Nutrient Enhanced: The eggs are claimed to have higher levels of omega-3 fatty acids, vitamin E, and/or lutein. This is done by adding flax, marine, algae, or fish oils to the hens' feed. 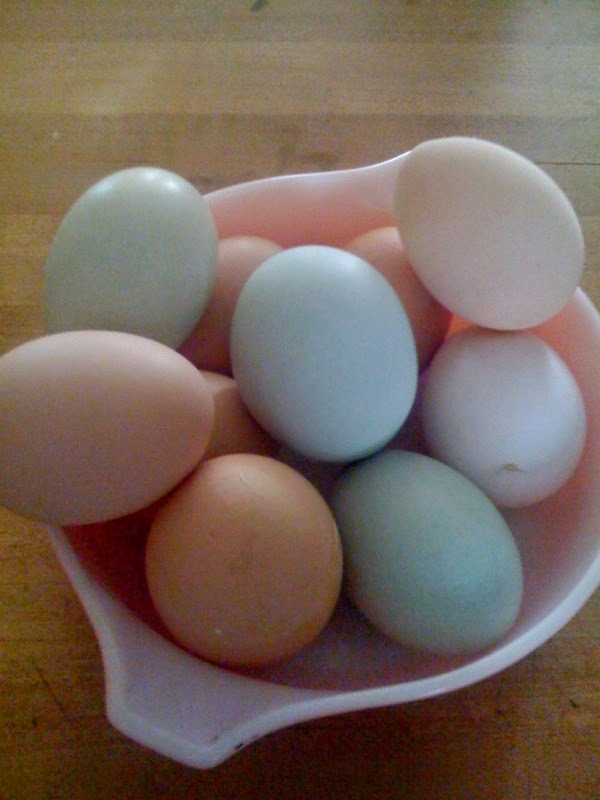 And, if you're curious why eggs in America are refrigerated, NPR's The Salt has the answer. FABULOUS post! All things I just been wondering about having just moved back to the US. Thanks for the Salt link.